This is part 4 of the quest for the best optimal routing calculations within ECS/ECDIS systems today. 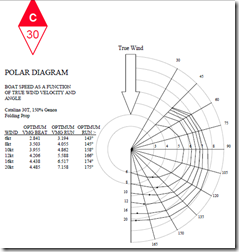 In this posting I wanted to consider the use of polar diagrams and data that represents the performance of the boat in a variety of wind conditions. Of course wind cannot be taken in isolation when comparing your actual boat performance against any given polar diagram. The manufacturers polar diagram will tend to be an idealised version of what your boat will do at its design weight and under good sea conditions. 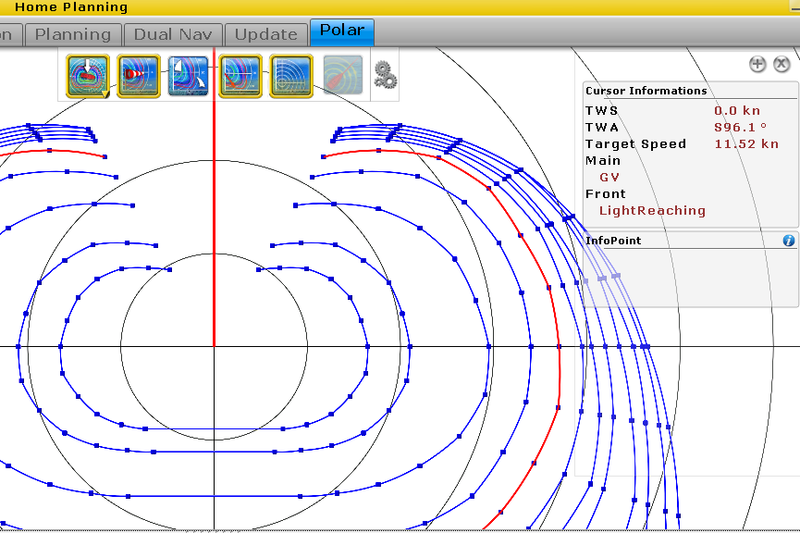 The most likely source of polar table information is a velocity prediction program, or VPP: a computer program that uses information about the boat’s design—the hull lines, rig plan and so forth—to predict the yacht’s performance. 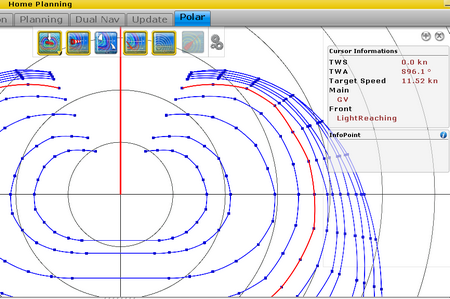 The image to the left for example, shows a pretty good polar diagram supplied for a Catalina 30 – and here you can see it notes that this was with a 150% genoa and the boat had a folding propeller. Russ March 15th, 2010| 6 comments - be the next!|Tags: Navigation - Pilotage - Polars.